I have followed some of the controversy about Harry Potter books and movies but not actually read any of the books or seen any of the movies. Some friends took me to the last one yesterday. It was 3 D and shown in a fantastic Hollywood Mall area. Of course the tech part and the nature scenes were fabulous. I kept wondering what The Passion, or Lord of the Rings would have been like with this 3 ,D much advanced since 3D first came out in my youth. During the long movie I kept thinking – this is a form of gnosticism (Gnosticism was a name for a variety of heresies in the early Church times that combined all kinds of pagan elements with Christianity) for surely this included many Christian symbols and plot elements with magic and other bad elements in the hands of the good guys. 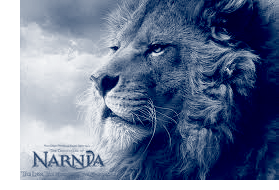 Then I compared it with Narnia and Lord of the Rings and thought it was a kind of version of those without the same kind of depth of Lewis and Tolkien, but then the movies of these Christian favorites have little of the depth of the actual books. When I left the movie I asked one of the priests in the group “does it seem to you like bridge to Truth for young people, or a substitute? He said he thought most young people took it as a substitute. I am going to send this blog to some of my grandsons, who saw or will see the movie, and see what they think. Decades ago when E.T. first came out there were Jews for Jesus standing outside the movie theaters handing out leaflets proclaiming that E.T. was really Jesus because of E.T. 's “resurrection.” I thought these Jewish believers in Jesus are pretty smart. Why don’t Catholics do things like that? Any ideas how? After being intrigued enough to read up on the matter a bit, there’s a number of interviews where the author of the books, JK Rowling, describes the series as an allegory of how she came to understand her own religious beliefs when she was younger. As she’s now a devout Christian, it would make sense that the series would contain various signs of Christian symbolism. Like I said, I haven’t seen past Part 3, but the interviews do imply that Harry’s coming of age is symbolic of her own struggles with coming to terms with her religion when she was younger. Note from Ronda: I realize that there are highly credible Catholic leaders who have researched this and come up with the view that it is a dangerous, demonic “substitute” rather than a “bridge” to Christianity. I don’t have the time or inclination to research this myself, so I am not trying to refute any of these Catholic leaders, but just to put down my questions.